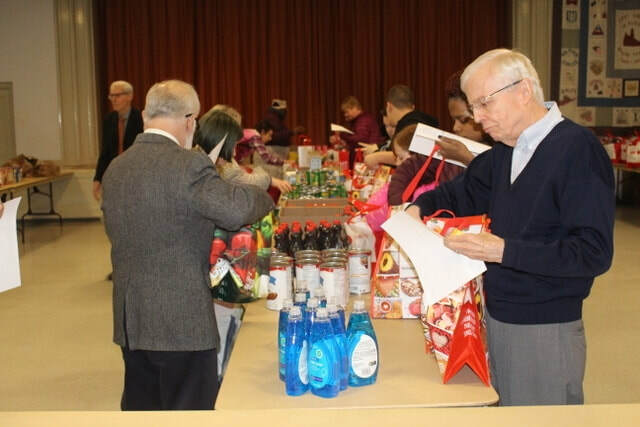 The First Church Food Pantry is a continuation of the centuries-old custom of taking care of widows, orphans and the homeless through the Deacons Fund since the reformation in the 1500’s. It serves people in the neighborhood and is managed by a Community Outreach Worker with the help of volunteers. Last year, the food pantry served 361 households. 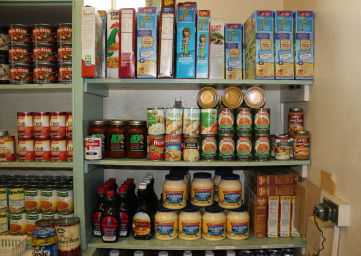 Families may visit the pantry twice each month. In addition to a balanced and nutritious food package, the pantry provides personal care items, fresh fruit, vegetables, and milk vouchers. The First Church Food Pantry also helps households by supplying information about additional community resources such as job training, housing, healthcare, food stamps, WIC and nutrition education. Guests are also provided with advocacy and referral services. Who is eligible to receive food? Our primary service area for the pantry includes the neighborhoods of Albany closest to the First Church for guests meeting the (confidential) eligibility requirements. What type of paperwork do I need to bring? The food pantry obtains information from guests upon intake. You must live in the area that the First Church Food Pantry serves. Guests are required to share information regarding income sources, employment and government benefits. Photo ID for all adults in each household plus a proof of residence- this could a bill from a utility company or a lease. THANK YOU FOR ALL WHO HELPED SORT, ASSEMBLE AND DISTRIBUTE OUR 2018 THANKSGIVING BASKETS! Each thanksgiving season we providing the food for a Thanksgiving meal for many of the families served by our food pantry. The Sunday, before Thanksgiving many of us will stay for a few minutes after worship to help pack the food baskets that will be distributed to families in our area. Also on that Sunday you are invited to come to worship with gifts of food items. This year instead of providing a thanksgiving turkey to each family, we are providing gift cards enabling them to purchase their own. Adult residents in the First Church neighborhood are offered free pastoral counseling with retired pastoral counselor, Ross Westhuis. Hours are Wednesdays 9 am-Noon. Stop in or call for an appointment: 518-463-4449.